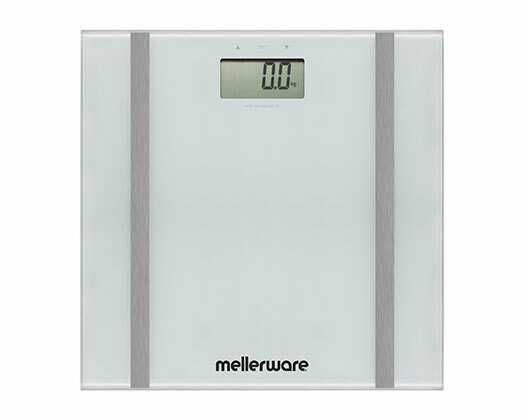 Home Products Mellerware Bathroom Scale Auto Off Glass 150 kg 3V "Bodymax"
Mellerware Bathroom Scale Auto Off Glass 150 kg 3V "Bodymax"
Mellerware presents the "Bodymax” bathroom scale! This top of the range glass bathroom scale measures everything from body fat to muscle mass, to hydration (water) and even bone mass. The "Bodymax” bathroom scale has an auto switch off feature and a maximum weight capacity of 150kg.